Did you know it snowed here in Michigan this past Friday? So lame. With cold weather here, I have been layering like crazy. I love this tunic from eShaki, what's so cool about it is that I personalized it myself. When you personalize on eShaki's website you can choose how long you want the sleeves to be, choose the length of your item, and manual enter your measurements for an exact perfect fit. Personally I think every website should have this for ordering clothing. It's simple and easy to do and I highly recommend it. I choose this grey/blue tunic because of the wrap effect. It keeps me warm and is so stylish for a comfortable fall look. I added my metallic Kut from the Kloth pants and Forever 21 faux fur vest for an extra hint of glam. 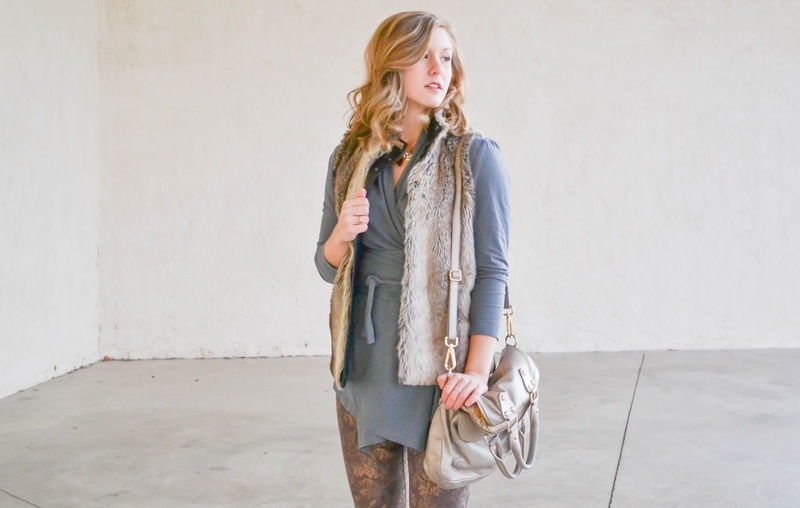 Paired with booties and a neutral purse this outfit was one of my favs yet this fall. See how you can get 10% off your purchase at eShaki below! (Code has to be entered in the ‘promotional code’ box.It is not case-sensitive. gift coupon or gift card in the same order unless explicitly specified otherwise in the offer conditions. Super cute! I love the pants and the vest! ENTER MY GIVEAWAY NOW ON MY BLOG! Very cute! So stylish and I just got a jacket from that website :) I love it! 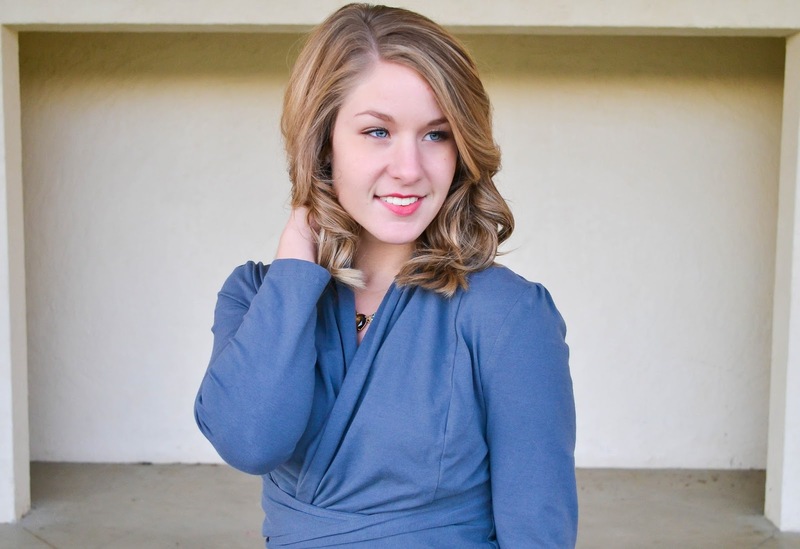 Check out my new post and see how I styled my eShakti jacket!